This won’t be news to any of you, but Cincinnati Reds fans have been pretty miserable for quite some time. With the team limping to the finish line of their fourth consecutive 90-loss season, after 17 losing seasons in the last 22 years…well, it hasn’t been much fun following this baseball team for a long time. Heck, there are 30-year-olds who have no memory of a Reds team winning a playoff series. ESPN has published it’s Sports Misery Index, a metric to determine “the top 25 most miserable professional franchises to be a fan of.” You won’t be surprised to learn that we — Reds fans — rank as the 8th-most miserable fan base in the country, over all sports. Among just MLB teams, Cincinnati ranks fourth, behind San Diego, Milwaukee, and Chicago (White Sox). It’s just a fun little exercise, but I do have to take exception with ranking the Reds behind any of those baseball teams. Yes, the Padres have been pretty rotten for a while, but they’ve made a World Series more recently than the Reds. Plus, their fans get to live in San Diego. They aren’t miserable, even if the team has been. Milwaukee? Are Brewers fans miserable right now? No way. That team is going to the playoffs, their super-sharp front office has been aggressive in trying to improve the roster, and that team’s future is very bright. And the White Sox won a World Series just 13 years ago! The Reds haven’t even won a playoff series in 23 years. Sure, the Sox have been pretty bad for a while, but a World Championship goes a long way. And a large percentage of Reds fans can’t remember enjoying one of those. Honestly i just came here today cause its the first place i am not going to hear the name kavenaugh. But the losing suckes….the first games i ever saw were the 1990 WS games on TV. I was so young i asked my parents if we were supposed to go every year. 17/22. That’s just incredible.And I would venture to say that none of those fan bases are even near what the Reds have. Not even close. Not even Cleveland Browns fans? As a Reds fan for over 40 years, the 17 out of 22 does surprise. I can still remember the 1990 World Series and how amazing that was. Eric Davis and Barry Larkin will always be the favorites. Reds fans have become so beaten down, that many think the current roster has potential. Granted, following other teams is not as clear, but, it is hard to believe that other organization and fans would believe that a team this bad would have a set roster. The overvaluing of current players is strange. 4 straight 90+ loss seasons and the floor would cave in if any of the position players were replaced. 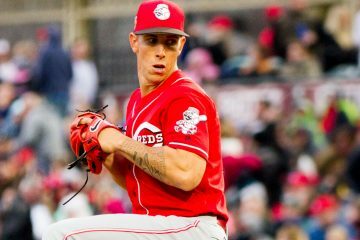 All the statistics show that the Reds offense is not that great, yet, the Reds are only a couple pitchers away from being great. I remember the BRM, and loved that team, but I loved the 1990 Reds just as much. I had a conversation with an A’s fan on the eve of the Series, and she said, with misplaced confidence, that the A’s would sweep. How sweet it was…. For those of us, a little bit longer in the tooth, we have 3 Championships to remember. Yes, the last one was a long stinking time ago. 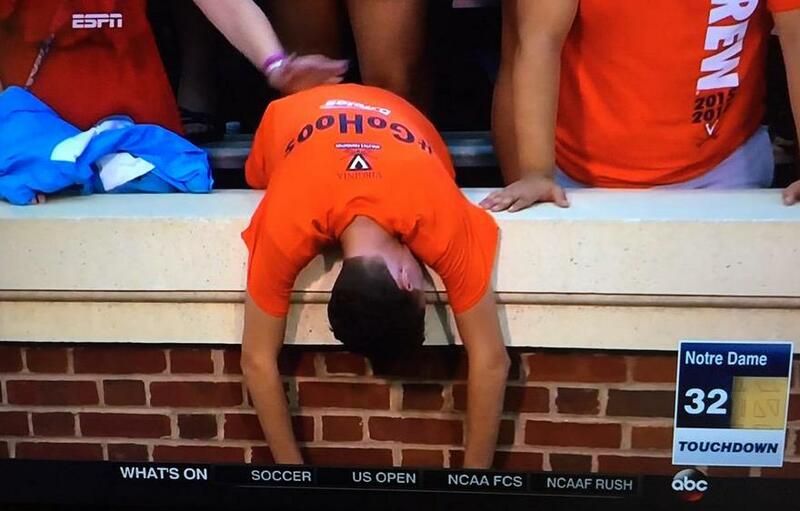 But all my friends who are Rockies fans, still have no divisional titles yet. Even if they win the west this year, the Reds have far more western division championships. Note, Started watching in 1970 at the age of 9. Worst total record in all of baseball over the last 4 years. It just doesn’t get more pathetic than that. Is what it is Chad… but as someone who has lived in Charlottesville, Raleigh, and Chapel Hill, I think your choice of the Hoos ignores the real suffering masses that wear Red and inhabit NC State. This will be the Reds fourth consecutive 90+ losing season, but the year before that they lost 86. So really that is five straight years of getting drubbed. I don’t see how they can improve with their current contract obligations with under-performers, Votto and Bailey. They need a No.1 starter but don’t have the means.Plus they need a middle of the line-up player, and an offensive centerfielder. They will be fortunate to not lose 90 again next year. https://www.spotrac.com/mlb/payroll/ , the Reds have the 16th-highest payroll (25th if you count retained/buried $), but they’re the ONLY team in all of baseball that has 2 players with each making up more than 20% of their total team payroll (Votto, Bailey). That’s just poor use of $. So out of 30 teams we are 25th in payroll? It seems like poor use of $ is that we don’t use it to sign more players like Votto. I feel fortunate that the prime of my life correlated with The big Red machine era 1970-1999. I got to see 5 World Series and watch 7 hall of famers( should be 10 with Rose, Parker, Concepcion) on a daily basis. I got to say though that the reds lost their way after the Junior trade. Which also correlates with the move to gabp. I am Cincinnati Reds addict pure and simple. No amount of medication or counseling can cure it. I come to RLN because of the informative and excellent writing by the contributors and people who post comments. It brightens my day even during a losing season. Started listening to the Reds on the radio in 1969 and went to my first game at Riverfront about 1973. I agree all this losing is rough but misery? No. There is always hope for eventual improvement. Ownership changes, front office changes, field manager changes and players change. I can remember when the Cubs and Astros were a laughing stock and the Reds were always vying for playoffs with the Pirates. Even if it is bad, the Reds are still MLB and bring great teams to GABP. You would never know to appreciate the good times in life if there were never bad times, hard times, sick times, etc. It will be unbelievably sweet and satisfying when the Reds win again. Mike, 1969 was my first year of following the Reds. I’m with you, too, but watching the Reds right now is sort of like eating poison mushrooms and hoping that RLN will be an antidote. KMARTIN and MIKE ADAMS: You mirror my sentiments exactly. As an old guy and a Reds fanatic since the late 1940’s, I’ve been through a lot of Red’s ups and downs and don’t feel miserable. I look forward to each day that positive changes will come to the Reds in ownership/management and personnel. What a pleasure this blog is to help us fans keep up with our favorite team. Disappointed? Of course. Miserable? Nope. I love the Reds and I have since I was a little catcher and Johnny Bench was the Man. On average, every team loses exactly half the time. And every batter (except Joey Votto) consistently makes an out more than 60% of the time. It’s a brutal game, so if the only thing that matters is winning then you’re bound to be unhappy. All this losing does stink, but it’s a game, played for our enjoyment. I remain grateful for baseball and for the Reds I’m not grateful that the front office and ownership seem unable to make necessary changes toward winning more often. But I am grateful for Votto and Barnhart, Schebler and Iglesias, Reed and Winker and Ervin and Suarez and Hughes and Peraza and Castillo. I am excited about Senzel and Greene and India and Santillan, about this offseason and the hope (admittedly skeptically so) that the team will be better come spring training 2019. And I am grateful for RLN and this community of thoughtful, appreciative, knowledgeable and, mostly, positive Reds fans. And I will continue to watch and cheer for three more games this year, because that’s all that’s left. Then I’ll catch my breath and round about Christmas I will tell you, in all honesty, that I can’t wait for pitchers and catchers to report in February. Baseball and the Reds are part of the cycle of my years and my life has been a little richer for it. Disappointed? Yes. Miserable? Never. Thank you. My wife asks me why I continue to do something (follow the Reds) when it makes me so unhappy? I tell her there are only 30 cities with MLB, Cincinnati is fortunate enough to be one. Heck, the FIRST ONE! No matter how bad things are, I can leave my house and see a MLB game in less than an hour. Actually, closer to a half hour these days. I’m 28. I was too young to remember 95. No chance with 90. 2010, 2012, and 2013 were all I got. They were either disappointing or heartbreaking. For me, the Reds just stink: always have, always will. Sometimes, I watch the 75 and 76 final WS games to capture a glimpse of what it was like. There used to be some pride to be a Reds fan. A small market team that knew how to build a team and win. But that has been so long ago it is…. well…. miserable. Yes, misery loves company. Misery, please meet Agony, Despair, and Anguish. Very good article again over at Cincy Mag this week, that will run here next week. Hard choices indeed. Sadly the Reds front office is no match for Milwaukee’s. Or Atlanta’s. Or Oakland. Or Cleveland. Castellini doesn’t know how to get out of the way. I don’t think he is programmed that way. He is one of those guys that has to be in the middle of it all. They have to clean house starting in the front office, then move on to the manager’s office. The Reds front office is tainted with Walt Jocketty still around. New front office == new direction==new manager(not named Farrell)==new results. Same front office==same direction==same manager==same results. These are the same guys who have, and who are, squandering the Joey Votto years on last place finishes. The last of the good Joey Votto years at that. A big No Confidence vote here for the current Reds front office. A big can of worms being opened on MLB by the Feds on Latin America signings. Long, long overdue though on a very corrupt segment in baseball. It’s about time. That area of baseball is shady. My anecdotal observation is that Reds fans at GABP are generally very pleasant/optimistic, but the more casual Reds fans are absolutely miserable to be around. I’d rather watch a game surrounded by Cubs fans than Reds fans at a bar, for example. We have a Newman and a Kramer starting for the Pirates tonight. No sighting of former Reds 3rd baseman Mike Costanzo or former RHP Andy Benes. 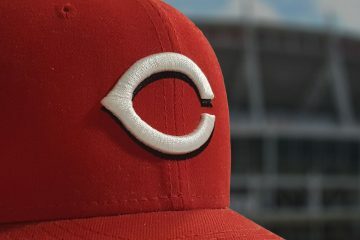 Redlegnation has been the best part of this Reds’ season and arguable the last 5…between here and redsminorleagues.com and mlbtraderumors, I’ll be hitting refresh all off-season to see if they are making moves or fire-selling (note: the Rays have 27 pre-arb players returning on 40 man roster next year according to great article on mlbtraderumors and they could be a great trade partner if we decide to sell instead of go for it as they could use a couple pieces to put them over the hump). Be curious to know if the RLN team thinks they could match up with us for any trades?